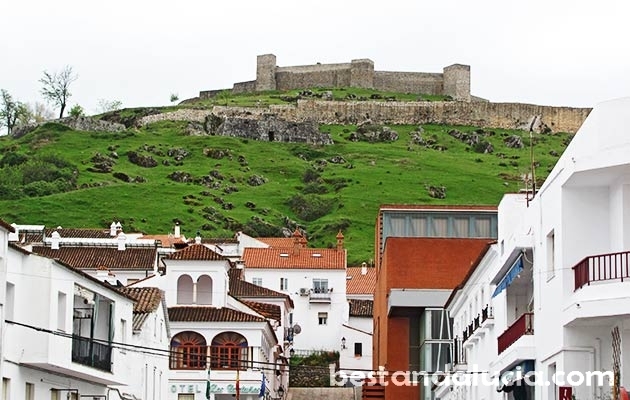 Aracena is a small untouristy town located in the hills of the western Sierra Morena in the Huelva province. 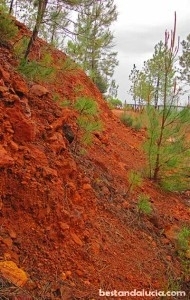 It lies north of the road between Huelva and Seville, not far from the Portuguese border. 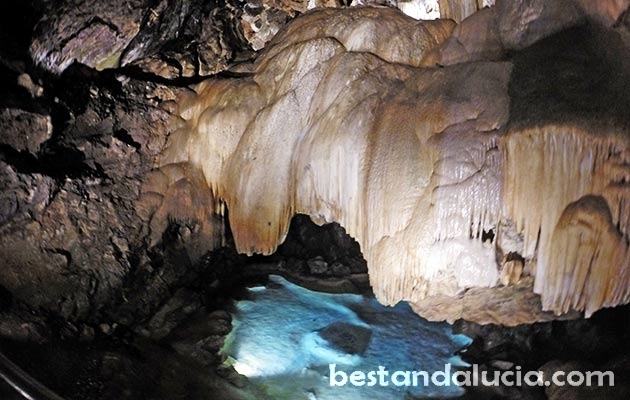 The number one attraction of Arcaena is the famous Gruta de la Maravillas (Cave of Wonders). It’s a stunningly beautiful network of caves interconnected by walking trails. The guided tour allows you to explore only ten percent of all the chambers, but that’s enough to leave you awestruck. 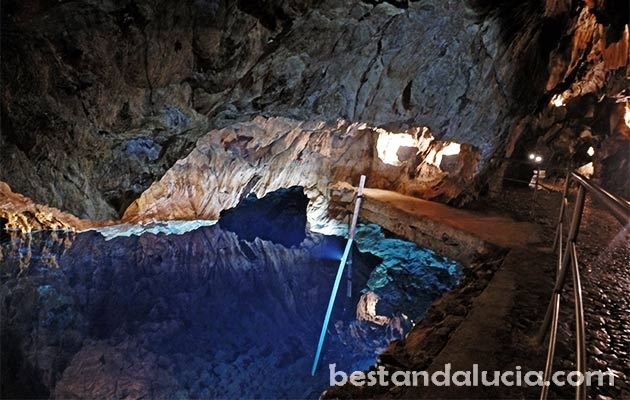 As the caves can only be visited by a limited number of people at one time (usually it’s 40), we recommend that you prepare yourself for possible delays once you buy the ticket. 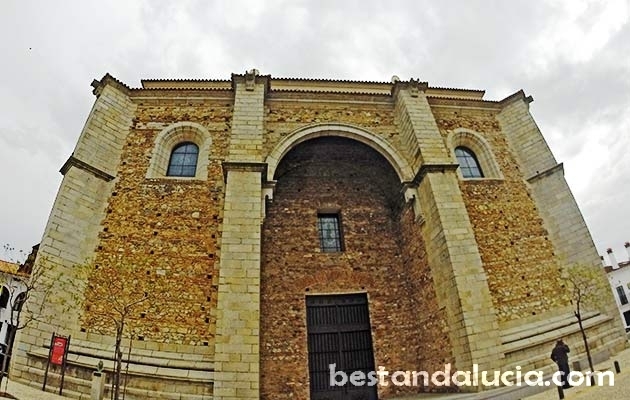 Another popular tourist spots in Aracena are the ruins of a castle overlooking the town and a beautiful Gothic church Iglesia de la Asuncion. 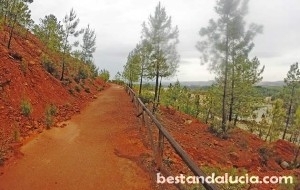 Aracena is one of the best destinations for hiking holidays. This green kingdom of Holm Oak and Cork Oak trees in Sierra Aracena is rarely visited by tourists. However, it is an excellent region for hikers, as it boasts more than 600 km of various path and trails.The well-marked local trails will lead you through beautiful scenary of hills, cork and oak forests, chestnut groves, citrus plantations and small white towns. 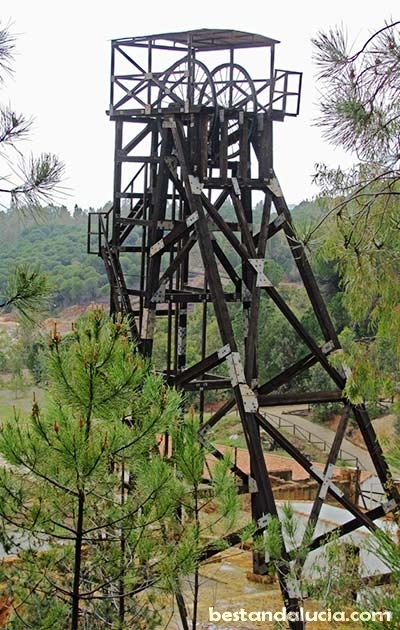 Rio Tinto Mines is another fascinating tourist attraction near Aracena. 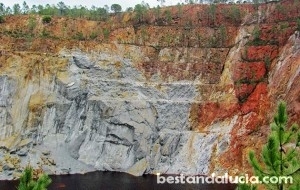 Minas de Rio Tinto village is located only 35 kms south of Aracena. Intensively red, surrealistic landscape of Rio Tinto mines, one of the oldest mines in the world, is an incredible view to behold. The feeling is that you have been suddenly teleported from Earth to Mars! 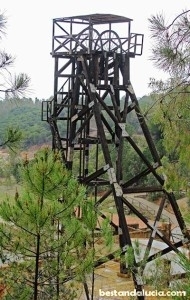 To see all the attractions of the mines might take at least half a day. Great panoramic views of the mines are available through two miradors on the A-461 as well as through viewing points in Alto de la Mesa. 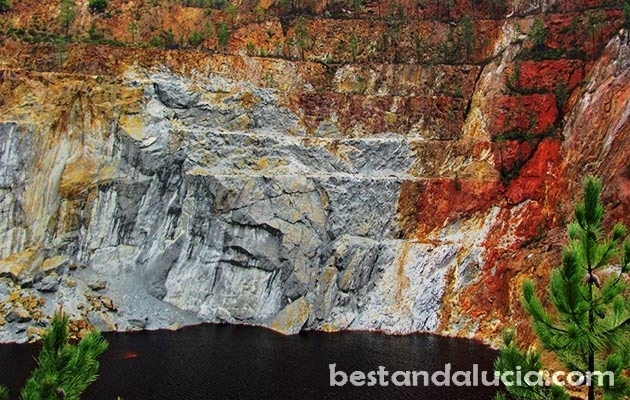 There is an interesting Mining Museum in the Minas the Rio Tinto village. It features the displays of artefacts generated by 5000 years of mining activities. A 22-km long recreational tour along the Rio Tinto river in the 19th-century trains is also available for tourists there. 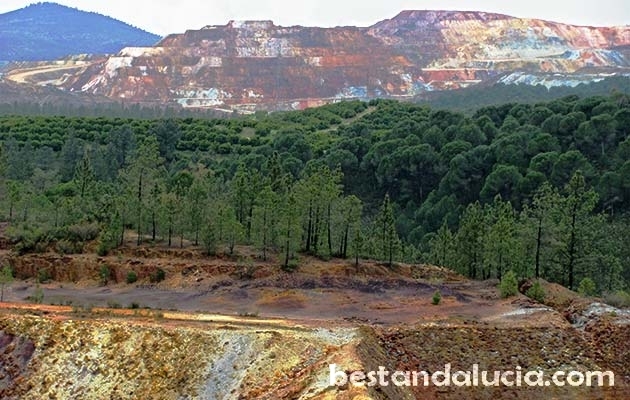 If you follow the signs and drive a little bit deeper into the mines, heading north past the village of Nerva, you will reach the Pena de Hierro, 85-metre deep openpit mine which is surrounded by some nice walking paths. Aracena- nearest destinations: Seville, Huelva. Nearest airports: Jerez de la Frontera, Seville. 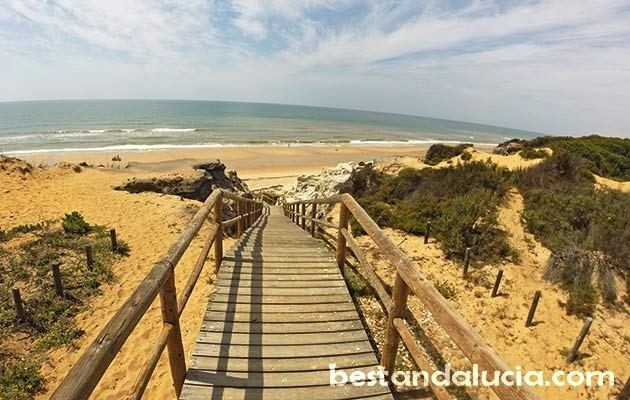 Wide, long, almost virgin beaches with dunes and pines, perfect to escape the crowds, that’s what majority of tourists appreciate about the Huelva region the most. 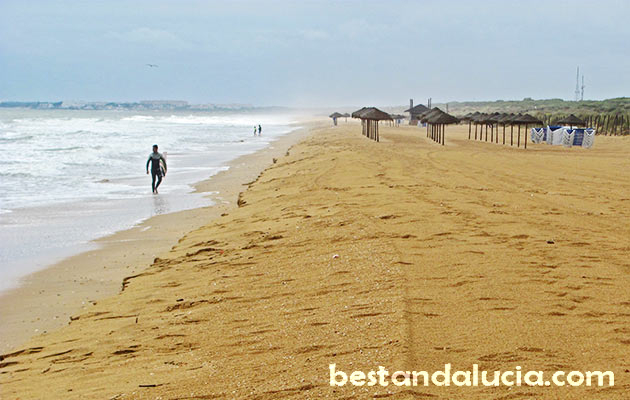 Probably the best beach east of Huelva, and a top-ranked attraction of the region, is Cuesta Maneli. It takes some time to get there but the breath-taking views of the coastline and the feeling of being completely cut off from the world is a reward you would certainly appreciate. 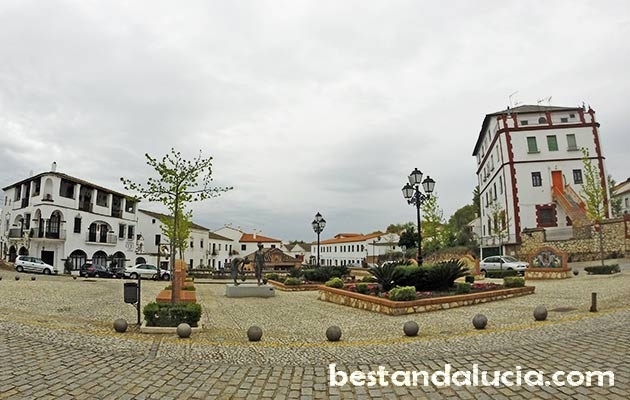 West of Huelva there are three unspoilt by tourism charming towns. 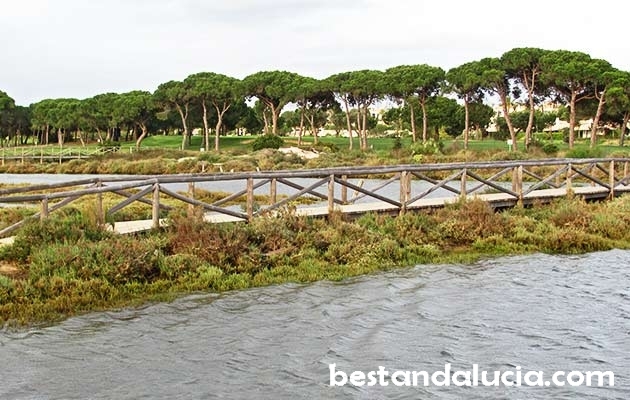 Uniquely beautiful El Rompido near Cartaya sitting on the Rio Piedras river estuary, neighbouring El Portil boasting long stretches of virgin beaches and beautiful Isla Cristina – just stone’s throw from the Portuguese border. All three are perfect destinations for family holidays. 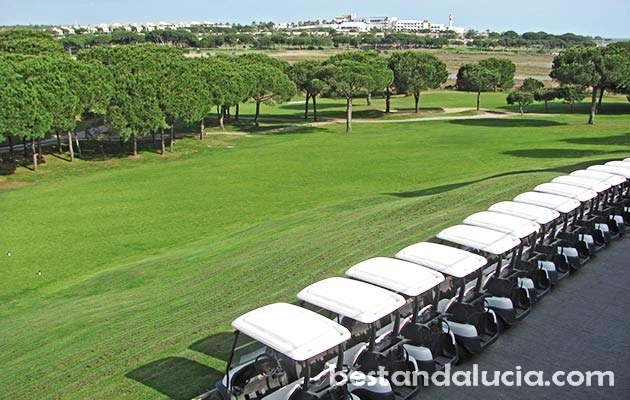 In addition to this El Rompido is a real golfing hotspot boasting sensational golf course. These tranquil coastline resorts abound in green pine forests with various walking paths that cut through dunes, marshes and river deltas. The Atlantic breeze mixes here with pine forest aroma allowing you to enjoy most fresh and pure air. The fine beaches in this area are empty most of the year, never crowded in the summer and easily accessible from the road running just along the coast. Another advantage of visiting Huelva is it’s proximity to Portugal. One hour drive allows you to reach the beautiful Portuguese Albufeira or Faro. Huelva is recommended for long summer beach escape, especially for those who want to combine their holidays with a trip to Portugal, or for those who want to follow the Columbus trail. 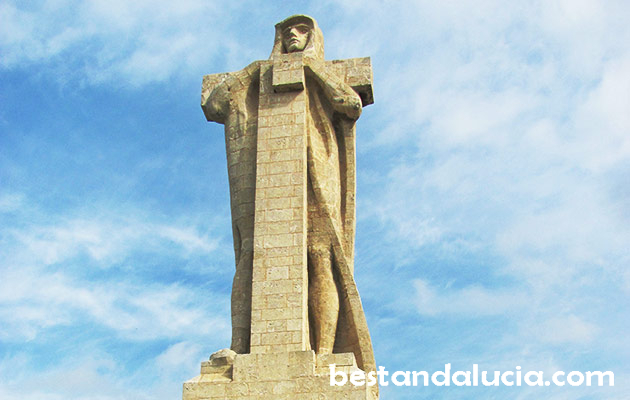 Located Near Huelva, the magical La Rabida monastery will take you back to the times when Cristoper Columbus was preparing for his first voyage. The old small rooms of the monastery museum are filled with various objects and works of art that bear some relation to the Columbus trip. 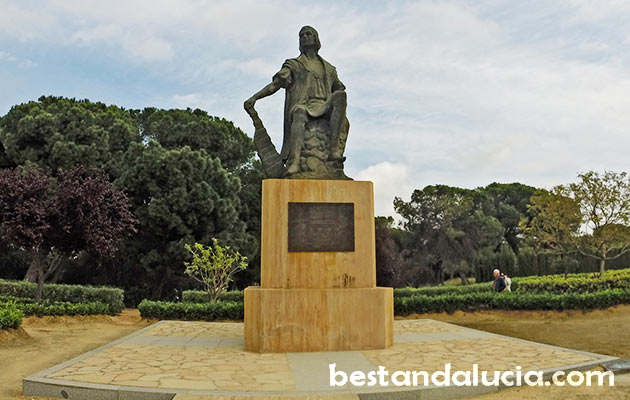 Among the beautiful botanical gardens surrounding the monastery, you will find a statue of Columbus as well. Nearby the monsatery, lies the Muelle de las Carabelas (Harbour of the Caravels), the wharf from which Columbus ships in 1492 set sail towards the unknown to eventually discover the New World. To celebrate the 500th anniversary of America’s discovery, the three full-size replicas of Colombus ships have been built and moored on an artificial lake. 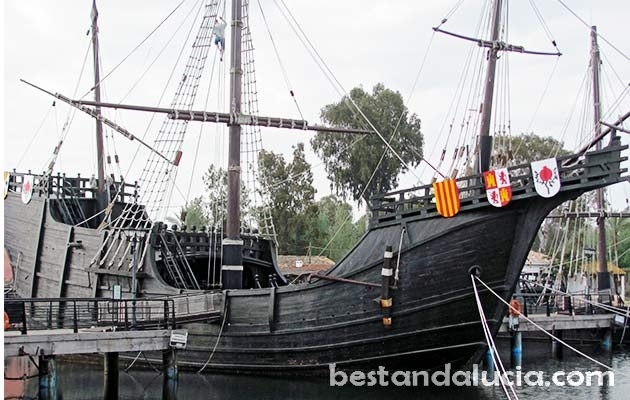 The Niña, The Pinta and The Santa María now serve as a major tourist attraction.